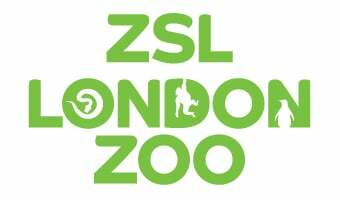 ZSL London Zoo has had an Aquarium since 1853, and has a fascinating history. Separated into three different halls, which are home to different types of fish, the Aquarium is involved in many different conservation projects and breeding programmes. There are many exotic, beautiful and even weird fish in the Aquarium, some of which you can learn more about on these pages! Find out more about some of the residents of the Aquarium. Take a tour of freshwater fish in unique, specially-created freshwater environments based on rivers and lakes from around the world. Freshwater represents the most threatened of all aquatic ecosystems and many freshwater species have a very high livelihood value for local human communities. Many of the fish housed in the Aquarium's Hall One are involved in our breeding and conservation programmes, with some of the species of fish featured classified as extinct in the wild. Fish Net is one of ZSL's conservation projects created as a measure to save many freshwater fishes from extinction. The project currently focuses on killifish and livebearers which are small freshwater fish with localised distributions and are considered important bio-indicators of ecosystem health. Many of these highly threatened species are very popular within the private aquarium trade. Some of these species are on show in Hall One of ZSL London Zoo's Aquarium. ZSL has already developed internationally recognised expertise with the breeding and management of a wide variety of endangered freshwater fish. We have have a strong track record of utilising the zoological, research and field conservation skills across ZSL to measurably improve the status of species in the wild. The Fish Net would build on our experiences to develop a dedicated programme for freshwater fish conservation within ZSL. Find out more about Fish Net. Our stunning, living coral reefs are beautiful as well as fascinating. They are also home to the most colourful fish in the Aquarium! Hall Two's tanks contain coral reef fish - such as copperband butterflyfish - which can be spotted in the Indian and Pacific oceans. Reefs are vital for the environment and they protect the land from big waves by breaking them before they reach the shore. Tropical coral reefs have the highest species diversity of all marine ecosystems. They are also a critical source of food for over a billion people and provide other important services to mankind especially through coastal protection. Thousands of fish make their homes in coral reefs, which are under threat from pollution, global warming and fishing with dynamite. Three-quarters of the world's reefs are at risk. ZSL’s coral reef conservation efforts involve supporting and implementing effective marine protected areas through Project Seahorse , building conservation and management capacity in coral reef nations , supporting the most vulnerable countries, and influencing policy. Just one of the many colourful fish you can find swimming among the coral reef is the Regal tang. If they become alarmed, they take refuge in the coral branches. You may recognise the regal tang as the character Dory in the animated film Finding Nemo. As the reef tanks come to an end, our Big Fish Tank features the largest fish in the Aquarium! The Amazon hall presents the 'flooded rainforest', which is the biggest tank in the aquarium and keeps several stingray. On display at ZSL London Zoo Aquarium we have an example of the Amazon rainforest...when the river has flooded its banks. This exhibit provides an insight into the weird and wonderful creatures that leave the river and move into the forest that is transformed into an underwater jungle. During the rainy season the Amazon river bursts it banks and its inhabitants take the chance to go swimming through the trees. Freshwater stingrays scour the forest floors looking for small fish to eat, hiding in the undergrowth to ambush their prey! One of the most famous species in our Amazonian collection is, of course, the red-bellied piranha. Well known for its razor-sharp teeth and appetite for meat, the piranha has actually been revealed as a shy and timid creature that does not swim in shoals to hunt, but for its own protection. Red-bellied piranhas are found in the rivers of the Amazon basin. At ZSL London Zoo's Aquarium, we have been successful in breeding red-bellied piranhas for many years. Book Zoo tickets online for great savings! Select Fast Track tickets to jump the queue.